As a comic book fan, I honestly can’t get enough of the various comic based television on the air right now. My weekly TV ritual currently includes Gotham, the Flash, Agents of S.H.I.E.L.D. and of course my favourite, The Walking Dead. Thankfully, comic book movies, and now TV shows, are starting to get it right. The two biggest mistakes that producers of these films and shows made in the past were: 1) not sticking close enough to the comic book source material and 2) isolating our favourite characters from others in their universe. Well these mistakes – which were made over and over again – have finally been avoided by the creative teams responsible for bringing our favourite comic books to life today! As spring approaches, I eagerly await the arrival of even more comic book television. The following are properties that will be hitting our TV screens very soon! Once it regained the rights to The Man Without Fear from Fox, it didn’t take Marvel much time or to begin working on a series for Daredevil. Marvel has obviously decided to use his familiarity to their advantage, using the Daredevil series as a springboard for a new intertwining Defenders series (sound familiar Avengers fans) on Netflix. Charlie Cox of Boardwalk Empire, Stardust and recently The Theory Of Everything has he title role of Daredevil/ Matt Murdoch . Vincent D’Onofrio is set to play the villainous Kingpin. 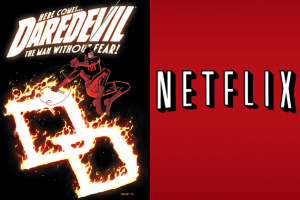 The entire 13-episode Daredevil series will drop onto Netflix simultaneously on the 10th of April 2015. So all you comic nuts can binge on the series all at once (I know I will). Check out the trailer below…and pay close attention to the words spoken by a character at the end referencing the Avengers. Like I said above….all apart of the same universe. Awesome. The success of The Walking Dead has certainly prompted other companies to shift their zombie properties into the world of live action. DC’s iZombie tells the tale of a young zombie named Liv (played by Rose McIver of Once Upon A Time) who is given visions after consuming human brains. Using some rather gross techniques, Liv becomes a crime-fighter. This series is pretty obscure to common folk, but is likely familiar to those of us who hung out at the local comic shop a few years back. 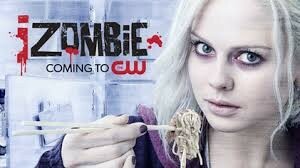 The show is based on a comic from DC’s mature Vertigo line which ran 28 issues from 2010 to 2012.
iZombie can be seen on The CW beginning the 17th of March. As indicated by the first trailer, it seems the show will push hard for its home network’s target teen audience via romance and a steady gag rate. You’ll get the idea after watching the trailer below. I may have to pass on this one. As I stated in a previous article, as these new shows continue to pop up, their source comic books often increase in value. If you have any of these comics, maximize their value by improving their condition. 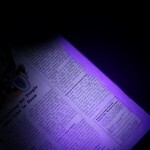 Contact The Comic Doctor to see if the condition of your prized comic books can be improved. In the meantime….enjoy the shows!